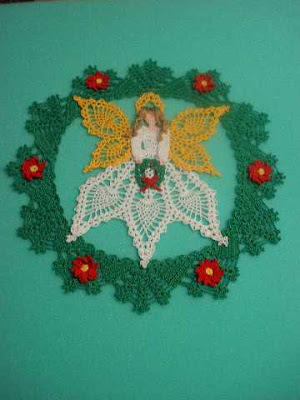 Talented crocheter Jenny has shared pictures of her "Tidings of Joy" and "Flower Garden Fairy" doilies. She did such a beautiful job on them both! 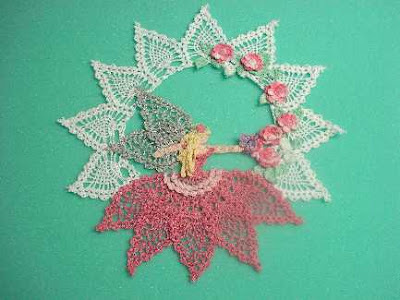 Flower Garden Fairy was the first in this series, and I have to admit, I think it is my favorite so far! 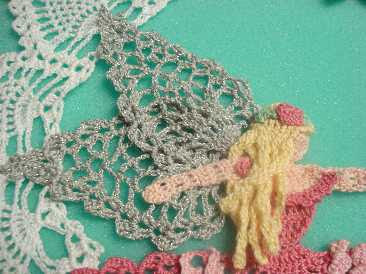 Jenny used silver thread for the wings; it gives quite a magical touch, don't you think? Thanks for sending the pictures, Jenny! They are gorgeous! When I get my website, I plan to have a gallery section, to show all the beautiful doilies made from my patterns. Hopefully soon! I love the sparkly wings! Thanks for sharing Ann. I love to see what everyone does with your patterns too.